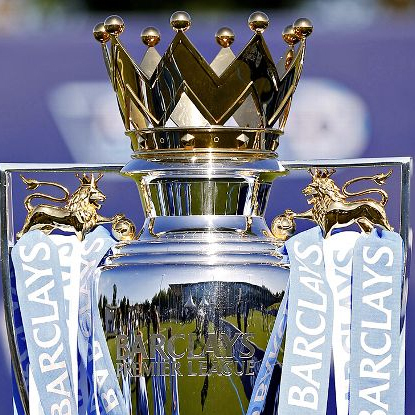 Predictions, Betting Tips and Preview of English Premier League 2015-16 matches. Leicester City have the chance to win the Premier League at the home of England’s most successful club, Manchester United on Sunday afternoon. Two sides battling at opposite ends of the table meet on Sunday afternoon as Arsenal make the long trip north to take on relegation threatened Sunderland. Two clubs used to battling at the top of the Premier League table have severely underachieved domestically this season as Chelsea host Manchester City on Saturday evening. Title chasers Tottenham could be hauled into the battle for a Champions League if Manchester United have their way on Sunday afternoon at White Hart Lane. With just 7 games remaining just 7 points separate West Ham and Arsenal as Arsene Wenger’s side make the short trip across London to take on the Champions League hopefuls. Manchester United will look to build on their Manchester derby victory before the international break as they welcome Everton to Old Trafford this Sunday. Liverpool take on title challengers Tottenham in the late kick off on Saturday as they hope to mount a late charge for the top 6 themselves. Leicester extended their lead at the top of the Premier League table and will now be looking to seal a remarkable season by inflicting more pain on relegation threatened Newcastle United on Monday night. The North-London derby has increased significance with the two sides now competing fiercely for the Premier League title with Tottenham having a 3 point advantage over their rivals heading into the game. One of the Premier League’s fiercest rivalries takes centre stage this weekend as Manchester United host Arsenal at Old Trafford with confidence dwindling for both sides.